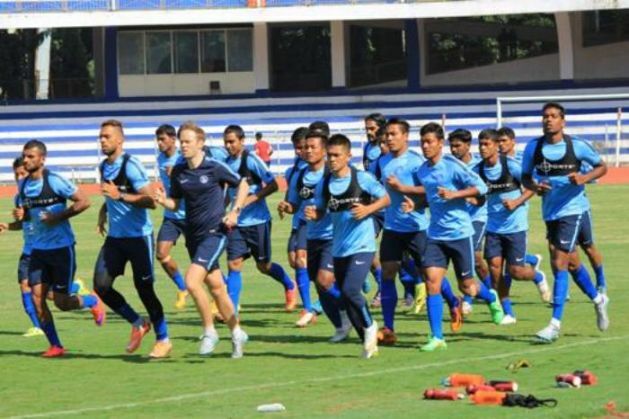 Indian national football team head coach Stephen Constantine, on Wednesday, 30 September, named a 22-member squad for the World Cup qualifiers against Turkmenistan and Oman on 8 October and 13 October respectively. The English tactician kept his faith with Jeje as the third striker in the squad, as Mohun Bagan's Balwant Singh missed the bus yet again. Royal Wahingdoh winger Seityasen Singh too was left out, while Francis Fernandes kept his place in the squad. India will play Turkmenistan in Ashgabat on 8 October, and will face Oman in Al-Seeb five days later. The team will assemble for the qualifiers four days before the first game, on 4 October.